This lecture is free to the community and no reservations are required. 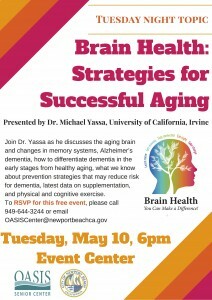 Featuring a public talk and book signing by Dr. Wendy Suzuki, Professor of Neural Science and Psychology at New York University and bestselling author of the critically acclaimed “Healthy Brain, Happy Life”. The book details her personal journey as well as research on the biological connection between exercise and the brain. We will be holding a special book signing and “Meet the Author” event in addition to her talk. How is Brain Science Transforming our Lives? What: New research has shed light on the clinical factors that may be associated with Alzheimer’s disease and related dementias. Join us for this full-day conference featuring renowned experts who will discuss the state of the art in dementia research, including discoveries across unique populations such as victims of head trauma and people living with Down syndrome. 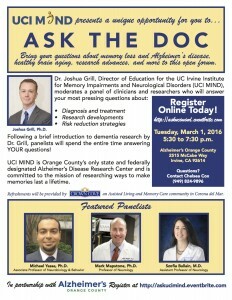 What: UCI MIND’s Panel of Clinical Researchers Meet to Answer Your Questions! What: FREE conference for the community. Dozens of experts in the field of aging will guide and inspire you in your journey dealing with the challenges and joys that come with aging. Click here for more information and to register for free. 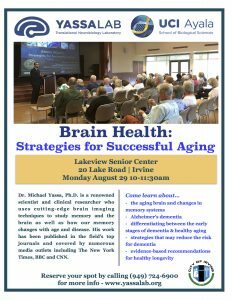 – what do we know about prevention strategies that may reduce risk for dementia? Exercise for the Brain: Is it Worth the Sweat? Featuring Dr. Laura D. Baker, Ph.D., Associate Professor in Gerontology and Geriatric Medicine at Wake Forest School of Medicine. Over the last two decades, new technologies have completely revolutionized our understanding of the human brain. What was once science fiction has become closer than ever to reality. What was once fringe has become the new frontier. In this talk, Dr. Yassa will discuss some of the most exciting work on learning and memory today, including implanting false memories, erasing pathological memories, memory prosthetics, human-machine interfaces, and a look at new techniques to understand the interaction of genetics and the environment in live humans. In this Evening to Remember, we will embark on a journey together to bring science fiction to reality and think together about what the next decade may bring. To receive information on E2R events, you must be a member of the Friends of the CNLM Community Support Group. To find out more about becoming a Friend of the CNLM, please click here. You may also contact Dr. Michael Yassa at (949) 824-1687. 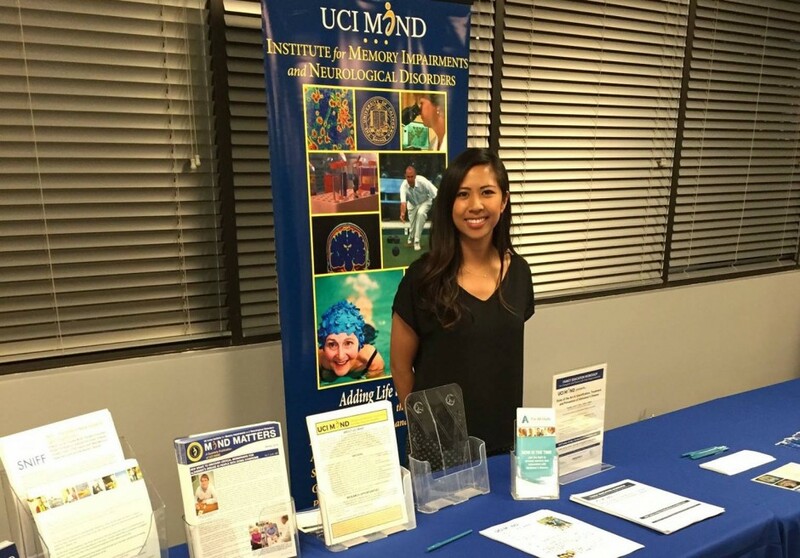 Thank you to Ms. Chelsea Cox and UCI MIND for the photos from Ask the Doc events.